Did You Suffer One of These Common Roofer Injuries While on Your Job? It is not surprising that roofing work is dangerous given the heights roofers must work from for long hours every day. In fact, roofers are at high risk of dying from three of the four “fatal four” causes of construction workers’ deaths. These dangers include falls, electrocutions, and being hit by construction materials and tools. Traumatic brain injury. When roofers fall—either from the roof or a ladder—or are hit by objects—they can suffer traumatic brain injury, with long-term changes in their mental, emotional, and reasoning abilities. Amputations. Roofers can suffer amputation of their limbs when falling from a sharp surface or when using dangerous power tools like circular saws and power roof cutters. Spinal cord injuries. 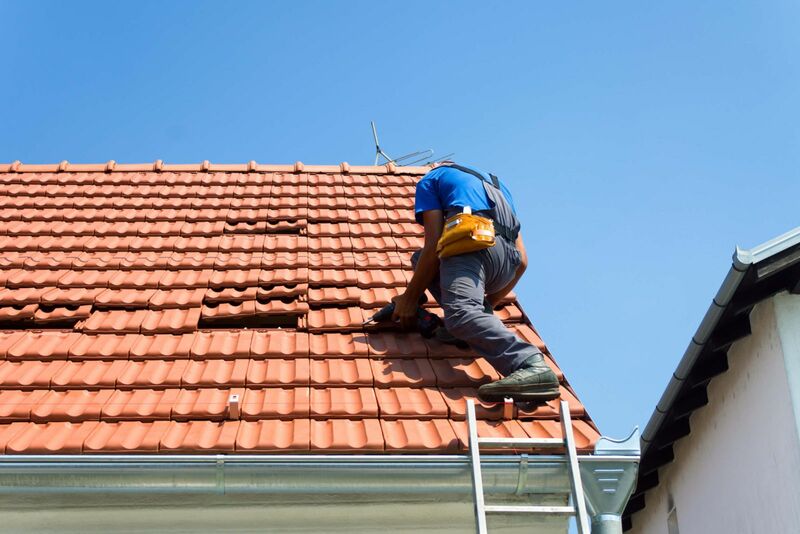 A roofer’s spine can become seriously injured when he falls off the roof or from a ladder—sometimes causing him to suffer partial or complete paralysis. Broken bones. Broken legs and ankles are common when roofers land on their feet in a fall. They can also suffer serious hip, pelvic, and skull fractures—especially when falling from heights. Back injuries. These injuries are not just caused by falls. When workers overexert themselves in carrying heavy materials and tool boxes—often up and down ladders—they can develop strains, sprains, and other long-term back injuries that could limit their day-to-day activities. Puncture wounds. Roofers can puncture themselves by falling or stepping on upturned nails, when hammering, or when using nail guns. The depth and the location of the wound will determine how serious the injury is. Repetitive motion injuries. Roofers perform many activities—such as nailing—for long periods of time and can develop tendonitis, carpel tunnel syndrome, and pinched nerves as a result. Heat-related injuries. Because roofers work in the heat for long hours during the summer months, they can suffer heat exhaustion, heat stroke, and severe sunburn that could develop into skin cancer. If you or a family member was injured in a roofing accident, you could be facing mounting medical bills and lost wages for a lengthy period—if you can return to your job at all. However, you may be able to hold your employer responsible for compensating you. It's important to speak with an experienced workplace injury attorney as soon as possible. Contact us online or call us directly at 817.380.4888 to schedule your free consultation. We help injured workers throughout Texas including Arlington, North Richland, Grapevine, Bedford, Hurst, Euless, Irving and all points in between.